The right wedding dress can be difficult to find. There are many considerations. What is the right shape for your body? What is the right style for you? 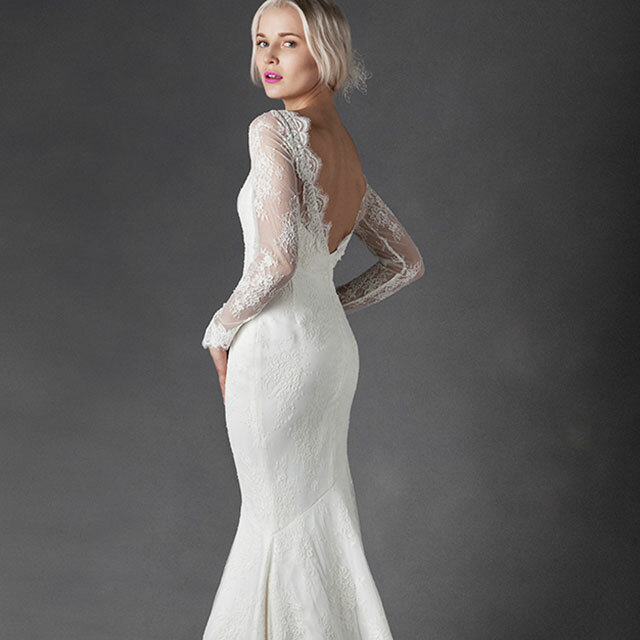 What length wedding dress looks best on you? Should you wear a long or a simple veil? What will you feel most comfortable wearing? So many questions and so many possible answers? But it all comes down to what feels right and looks great on you! Can the perfect wedding dress be so difficult to find? Yes, indeed it can if you are not sure what you are looking for? Or if you are looking for the wrong thing, or in the wrong places. Perhaps you are convinced that you a particular shape dress would suit you best, when infact other shapes may be more flattering on you? But how can you be sure? So, as you see, it is important to understand what is the right style, shape, fit and make for you. We all have different figures and unique styles. We are not the perfect size 10 with lovely long legs. So, of course we do not all look good in a standard size 10 dress! So finding the perfect wedding dress can prove quite difficult! So why not engage the help from the experts. Have you considered getting a wedding dress designed and tailored especially for your figure and to your specification. A wedding dress which you know will fit you perfectly and look exceptional! By having the dress designed and tailored for you, you will be sure that you are getting a unique dress that is best suited to your figure and style. Maire meets with her clients at her studio in Fitzwilliam Square where she sketches designs and tries on mock garments to get the best style and fit for you. She then takes measurements before creating a pattern. Follow up fittings are arranged before the final outfit is finished. Please contact Maire for your consultant.